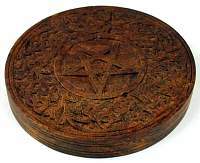 Displaying a carved, interwoven pentagram and crescent moons, this small altar tile can function as a coaster for your incense burners and cups or serve by itself as a mystical symbol of the elements united by the divine spirit. 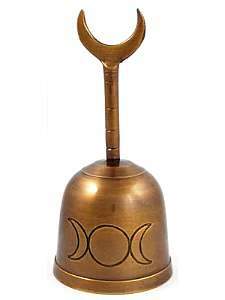 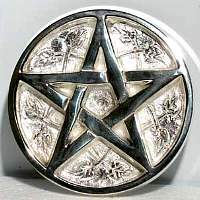 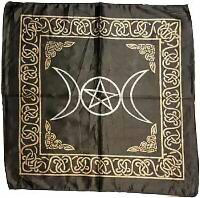 This is a heavy weight, metallic disk with a carved out interwoven pentagram at its center and surround by crescent moons. 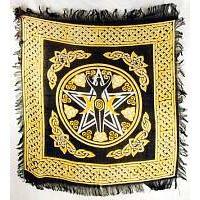 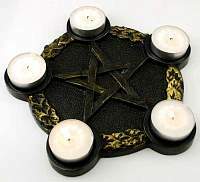 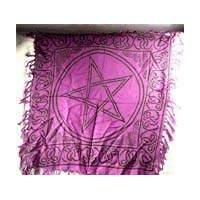 Ideal as a small altar pentagram, or it could also serve as a coaster. 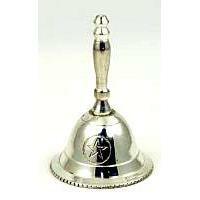 Its measurements are approximately 3 inches diameter and 3/8 inch thick, and it is wonderfully crafted of silver plated brass.